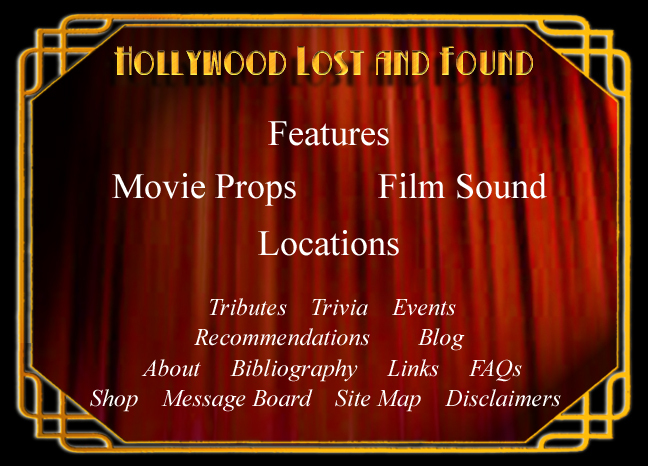 Hello, and welcome to Hollywood Lost and Found! I hope you'll enjoy our stories of Hollywood history. We've added the story of the title prop from the 1960 George Pal film "The Time Machine." Our most popular page shows the history of a famous sound sound effect, The Wilhelm Scream. Please take a look... and help support the site by getting your very own Wilhelm Scream T-Shirt!